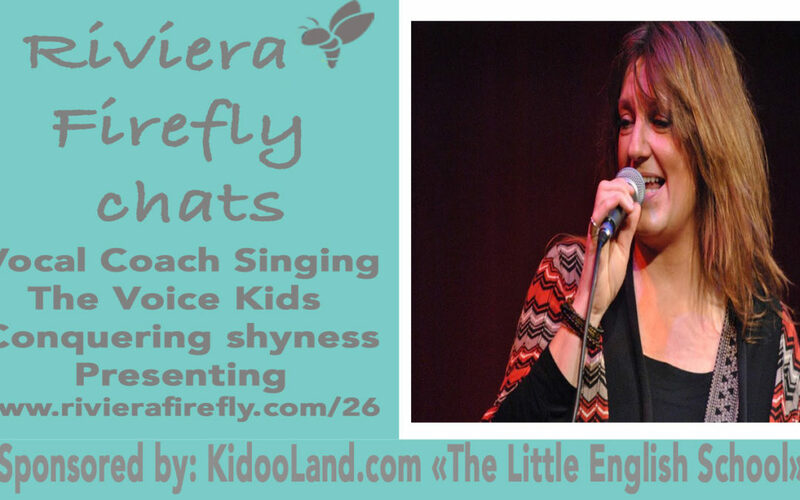 Do you want to train with a Vocal coach for singing or presenting? Do you want to get on The Voice Kids? Listen in to our Thanksgiving episode as we chat perfoming, singing and speaking with Vonny Marshall Edwards Singer and Vocal coach . I am nicknaming her “Coach to the Future Singing Stars” her star will be shining bright in 2018. For the record she wouldn’t tell me off air what is in the pipelines so we will have to check back in with her next year! What Vonny remembers about her childhood filled with music. When Vonny realized that singing was her passion, and how she studied at so many programs to hone her craft. Overcoming shyness to own the stage. A career in performing arts is very much a career in withstanding rejection. What drew Vonny to the Cote d’Azur and French living. Vonny puts her students in competitions for experience, and not to win. The Voice, the process, and the luck that brought Vonny three students to qualify. Places where Vonny is teaching now! Tips for making connections and integrating into French culture here in the Cote d’Azur. The handful of things that separates a performer and an artist. Mindset shifts, future dreams, and moving forward with plans for the future. Links also mentioned Christine Kjeldberg interviewed in episode 24 who’s daughter Maria was on The Voice Kids.